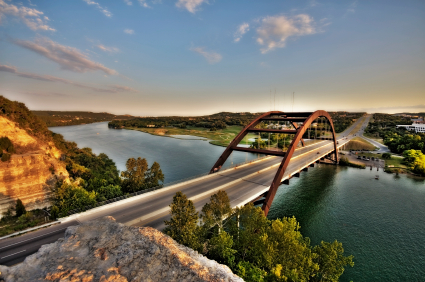 Just A Few Reasons Why Living in Austin is Awesome! Okay, we’ll admit it. We Austinites adore our city, and we always have. After all, what’s not to love? We’re the capital of the Great State of Texas, home of the world-famous University of Texas Longhorns, the Live Music Capital of the World… I could go on and on, but I think you get the point. There’s pretty much something for everyone here. Of course, knowing your city is great and having the rest of the country confirm it are two totally different things. And lately, it seems the rest of the nation has been confirming it for us an awful lot. If you don’t believe me, check out the latest evidence of Austin’s awesomeness for yourself. If taking the number one spot for Kiplinger’s “The 10 Best Cities of the Next Decade” wasn’t good enough, here’s a list of some of the various distinctions Austin has been awarded in widely-read publications this year alone (courtesy of PSW Real Estate). Pretty impressive, huh? All I can say is, if this doesn’t make you want to relocate, I don’t know what will! Want to find out more about all the things our fabulous city has to offer? Check out Austin City Connection and the Austin Chamber of Commerce. I know you won’t be disappointed! P.S. Here’s a fun fact about Austin I bet you didn’t know: Austin’s first skyscraper was built back in 1910, when E. M. Scarbrough built the Scarbrough building at Sixth and Congress. That intersection continues to be one of the busiest in the city today!